Charlotte Phillips embarked on the ‘international leg’ of her career at a relatively young age; after graduating from high school, she lived for several years in Israel and the UK. She obtained a dual degree in law and criminology from the VU University Amsterdam (1999 – 2002). Admitted to the Dutch Bar in 2002, she joined the Criminal Court of Appeal in Amsterdam in 2006 and a year later the Amsterdam University of Applied Sciences as lecturer in law and graduation coordinator. 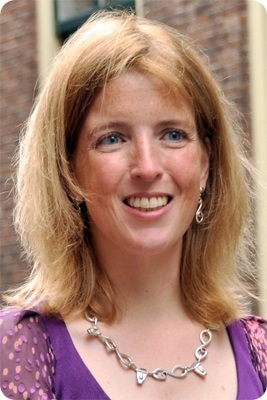 In September 2011 she gained her PhD from the Law Faculty of Leiden University. Her research focused on children’s rights, more specifically the protection and well-being of children deprived of adequate parental care, with a particular emphasis on child-headed households, and culminated in the dissertation entitled Child-headed households: a feasible way forward, or an infringement of children’s right to alternative care?. In addition to her work as Lecturer in Law and Juvenile Court Judge in Amsterdam, Charlotte is Extraordinary Professor in the Faculty of Law at Addis Ababa University, Ethiopia, where she teaches Children's Rights as well as Refugee Law in the LLM in Human Rights programme. She has written several textbooks on diverse legal subjects and has published articles in English, Dutch and Belgian journals. Charlotte is a frequently-asked guest speaker at (inter)national congresses and seminars, primarily on the subject of universal children's rights. 1. Child-headed households: a feasible way forward, or an infringement of children's right to alternative care?